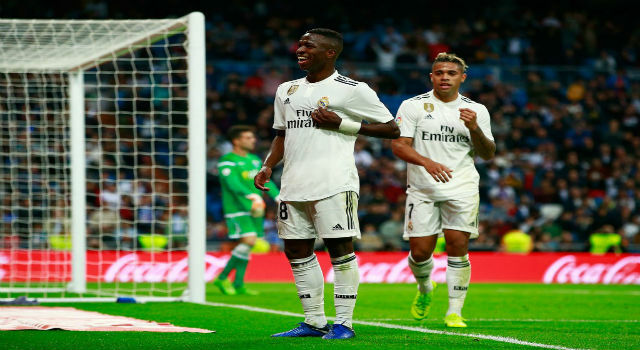 Real Madrid thrashed Melilla (6-1) again the Copa del Rey game at Santiago Bernabéu stadium after the clear victory obtained (0-4) in the first game with Solari as a manager. 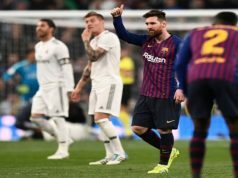 The Argentinian coach took this match to make many changes and the players shine, especially Isco and Asensio, the best footballers of the game. Both have too much quality for games like this. However, they haven’t showed it this season, so they need to take advantage of every opportunity to convince the coach that they are able to play more important games. And they did it this afternoon -the game was played at 16:15 local time because it was bank holiday in Spain-, scoring two goals against a team from Segunda División B, the Spanish third division. 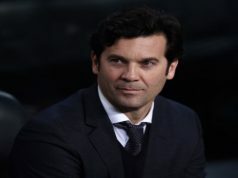 Solari included many youngsters in the starting eleven. Javi Sánchez had again another opportunity and even Jesús Vallejo made his season debut, now in December, due to his many injuries. Another two youngsters made their debut with the first team -Fran García and Fidalgo-, so Solari’s bet for the young players look very serious. In the first 30 minutes, Melilla pressured high and we didn’t see any goal, but Asensio started with his show scoring two consecutive goals and giving one assist to Javi Sánchez, his first ever goal with the white t-shirt. In the second half it was time for Isco Alarcón, who scored two great goals with stunning shots. 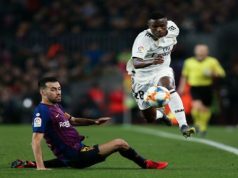 Even Vinicius Junior scored his goal, although his game was very poor, missing many chances and easy passes. It is still early days, but the Brazilian needs to improve a lot to play in the Spanish first division. Overall, the most important players could rest and the rest could show Solari they can be trusted. Now it’s time for Isco and Asensio to wake up and show this in La Liga. Huesca and Rayo Vallecano are the next rivals before the winter break and the FIFA Club World Cup. These should be easy games to close the year with hopes of touching silverware in spring. Until then, the team needs to improve a lot.